Did you know Google’s Unable to connect to the Internet page has a game embedded in it? Let’s see how to play it. 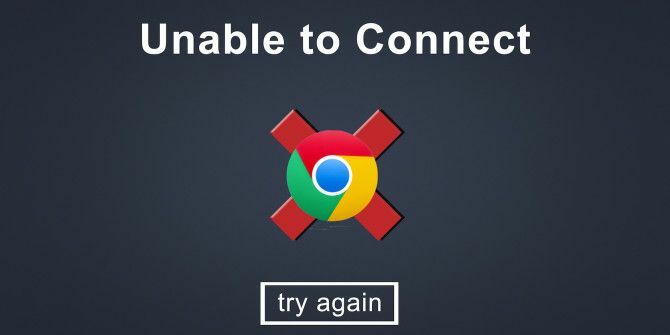 When you try to load a page sans an Internet connection, Chrome displays a network error saying it can’t display the web page that you have requested. Noticed the cute little dinosaur on that error page? He’ll bounce and start running when you hit the spacebar. Keep pressing the spacebar to help him clear the obstacles — clumps of cacti — before him. You’ll even get points for it. There’ll be flying dinosaurs to deal with once you cross 450 points. And as expected, it’ll be “game over” when you crash. I am the Google Chrome internet is down dinosaur game office champion. We've been playing for the last 30 minutes. That’s definitely a fun Easter egg from Google Ten Google Easter Eggs You Missed Somehow Ten Google Easter Eggs You Missed Somehow While technology is cold, it's still made by humans. Where there's a human, there's a sense of humor. Often, engineers slip a fun secret into their code — an Easter Egg. Read More . Go on, disconnect the Internet and give it a shot. You can even play the game on Android by tapping the screen instead of hitting spacebar. Have you played this hidden game in Chrome? What’s your highest score in it so far? Explore more about: Easter Eggs, Google Chrome. Bro, I play this all the time when the internet goes out. Hello Akshata, Interesting blog. Would like to read more interesting blogs from you. Great Work!